Congrats though, this is great news! By iPhones you actually mean only iPhones or can we expect a high resolution version for iPad 12.9" for example? Thanks. I really hope the mobile version will be available for players with console accounts, and not only GOG. We'll share more details about that later. I hope the prediction will become entirely true ! The game will be simplified more and more, 1 row incoming for better mobile adaptation! So I will finally have to upgrade my phone, can't wait for more news on this! Will it be possible to link to a console account? I imagine that Sony/Microsoft would have to be involved somehow. Someday it would be nice to bring my PSN collection over to GoG. Will it be possible to link to a console account? Don't have a smartphone, and am not planning on getting one, but I'll be interested to see how this new platform eventually changes the scene. Don't have a smartphone, and am not planning on getting one, but I'll be interested to see how this eventually changes the scene. Although it‘s very unusual that it‘s not going to be on ipad too. I‘d love to play it there. I'm dreaming every day to do a port from Ps4 to GoG. 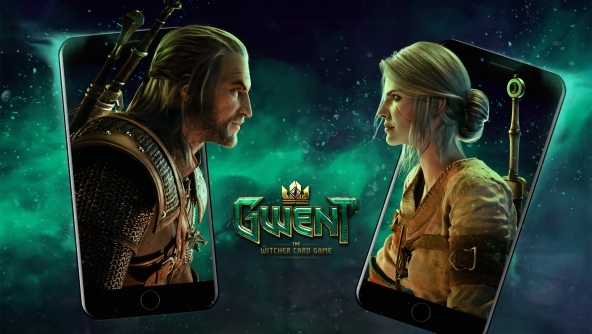 I started play gwent in PS4 and could be better for the community of gwent if CD Project do this. You have the best card game in the world. Don't forget us. will it be different servers like ps4 and pc or can we link any of these to mobile or both maybe? Unexpected, but welcome, news. No more playing over TeamViewer(AnyDesk) for me!... well, after the Android version anyway. Dont forget console players !